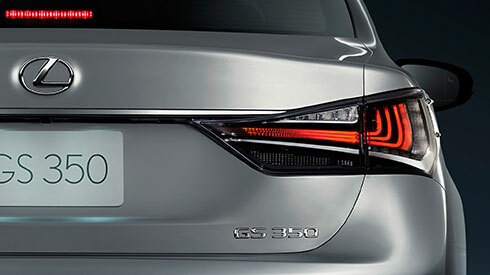 The LED rear combination lamps illuminate in an L-shape array symbolizing Lexus, and feature integrated aero stabilizing fins to enhance handling stability. 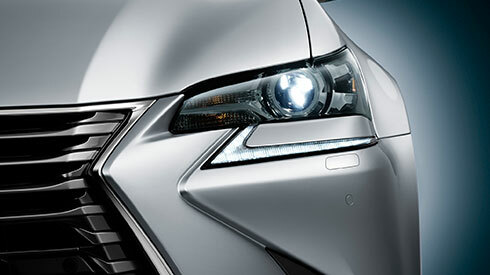 When braking in an emergency, the active brake lamps, including the LED high-mount stop lamp, pulse rapidly to provide an effective warning to following vehicles. The high-resolution, 12.3-inch EMV display is notable for its width. 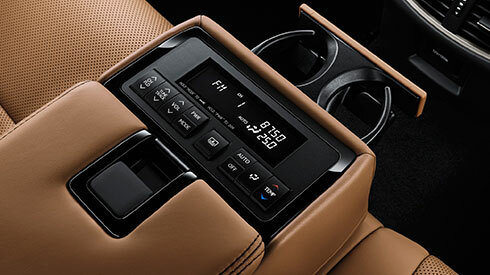 The driver and front seat passenger can interact with multiple display screens using Remote Touch, or using voice commands which can also control a number of applications. The split-widescreen is optimized for simultaneous viewing of two types of information. The Remote Touch with single press confirmation lets users interact intuitively with the central EMV display. Ergonomically designed, it is situated close at hand and is as easy to use as a computer mouse. The 4.2-inch high-resolution color TFT (Thin Film Transistor) multi-information display provides a wide range of vehicle information and data. 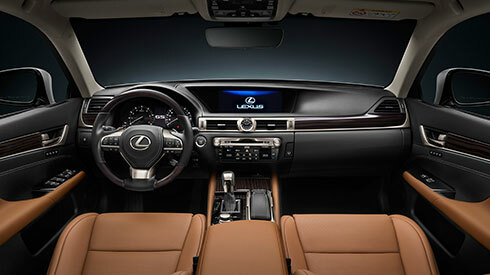 For convenience, audio system information, incoming mobile calls, and some navigation on the 12.3-inch display can also be displayed on the multi-information display, and controlled using switches on the steering wheel. 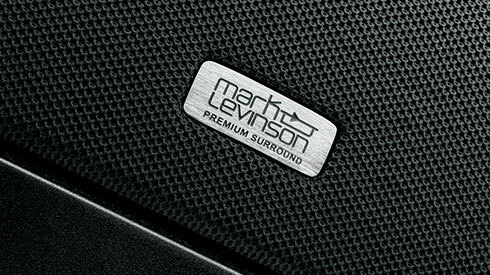 Specified with a fully digital 835W amplifier and 17 speakers utilizing GreenEdge technology, the Mark Levinson Premium Surround Sound System delivers a high resolution, 360° stereoscopic, home concert experience. Available in combination with leather seats, the driver and front seat passenger can individually ventilate their seat as desired using the conveniently located switches, for excellent cooling in hot weather. 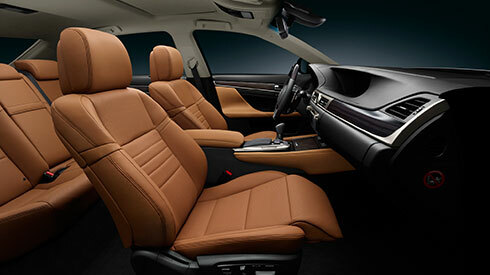 The front seats feature 10-way adjustments including lumbar support, or 18- way including 4-way lumbar. The F SPORT package driver’s seat has 16-way including 4-way lumbar, and 10-way including lumbar support for the front passenger’s seat. 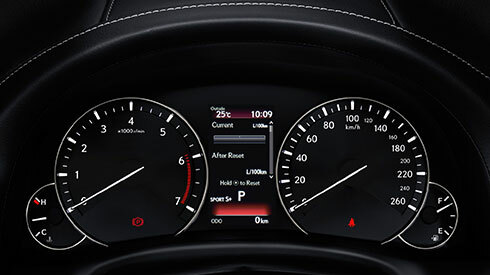 The powerful yet energy efficient S-FLOW control provides climate control only to the zones that are occupied. 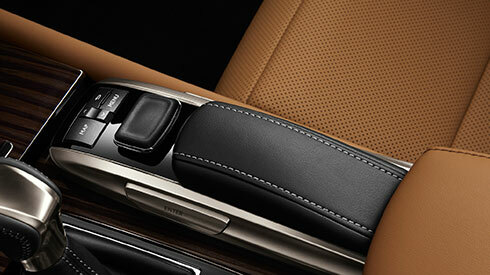 Switching on the S-FLOW control cuts air conditioning for the rear seats. 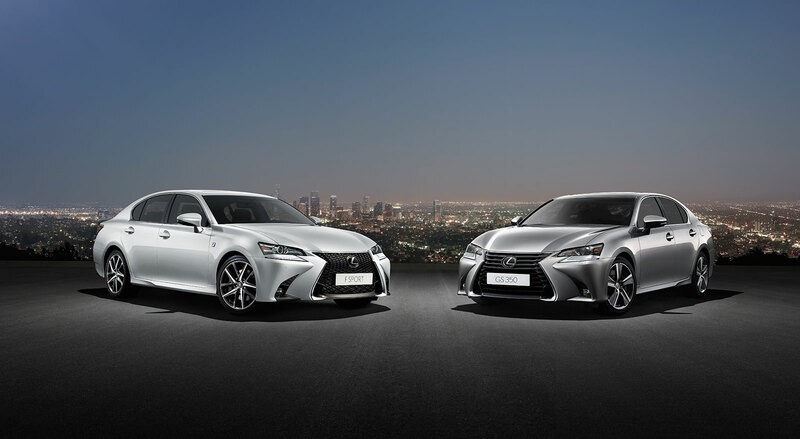 For models with 3-zone independent temperature controls, air conditioning of the front passenger’s side is also cut automatically when the seat isn’t occupied, further contributing to energy efficient control. The front passenger’s seat has an extending seat cushion to provide additional calf support. It automatically retracts when the passenger gets in and out of the car. 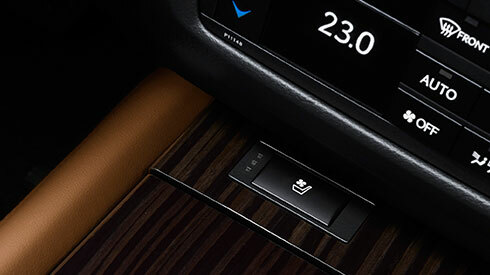 The seatback, cushion and side cushion of the outboard rear seats can be heated. 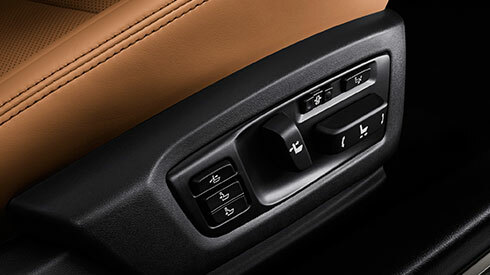 Individual adjustment is via the control panel in the rear center armrest, which is also used to control the rear climate zone. 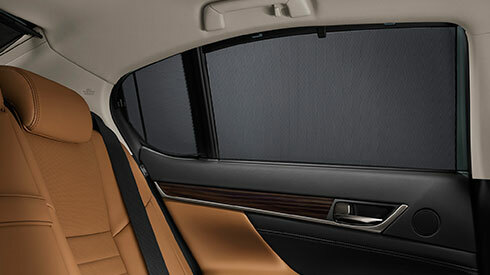 With smooth and quiet operation, the power rear window sunshade has outstanding light filtering qualities. Together with the manual rear door window sunshades, they provide excellent shade and are unobtrusive when not in use.